Lettuce are fragile vegetables that require extra protection when being shipped. These leafy vegetables bruise quite easily when bumped and bacterial growth can develop from these bruises which does not only make the lettuce unsightly but can also lead to immediate rotting. 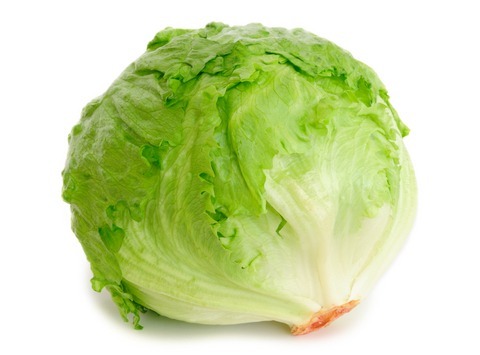 Thus, heads of lettuce should be well padded during packing to ensure that any bumps and falls they will encounter during transport will not cause major damage. Here are some valuable tips on how to pack and ship lettuce heads. Clean the lettuce heads and pat them dry. Excess moisture can encourage the growth of mildew and bacteria which can lead to rotting. Once completely dry, wrap each head in perforated plastic film to protect it against dirt as well as prevent moisture accumulation and extend the vegetable's shelf life. Pack the lettuce heads into sturdy, opaque, breathable containers. Waxed cardboard boxes with holes work well. The ventilation holes are necessary to ensure that the vegetables remain fresh during the entire transportation process. Avoid packing too many lettuce heads in one package. Also make sure that the heads shift and bump each other when the box is shaken. Fill empty spaces with bubble wrap or crumpled paper to prevent movement. When shipping to far off destinations or during summer or humid weather, you may want to pack the lettuce heads in coolers or insulated boxes along with several cold packs to ensure that they remain fresh. Also make sure that the carrier you are using will keep your lettuce packages well shaded during transport. Lettuce are heat sensitive and exposing the package to extreme sunlight can shorten its shelf life. Advise the recipient about the incoming package to make sure that someone is around to receive it upon delivery and prevent the package from being left outside in the sun.